For those of you that read my blog you know that even though I am Italian I love many other kinds of foods. Southwest style is one of them. 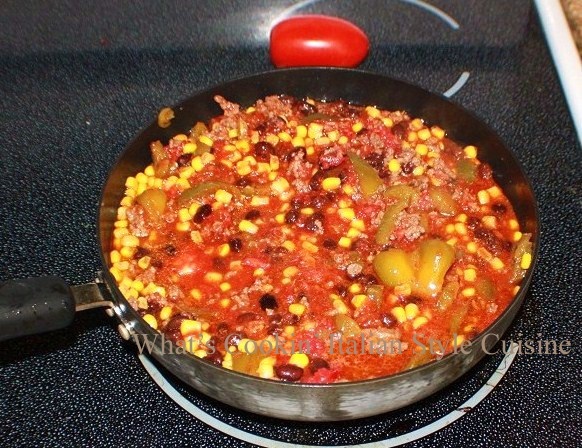 This is a great sauce almost like a homemade hamburger stew that is hearty, flavorful and healthy. A versatile sauce designed to be used in many ways. See below for the suggestions. My favorite is really over rice. 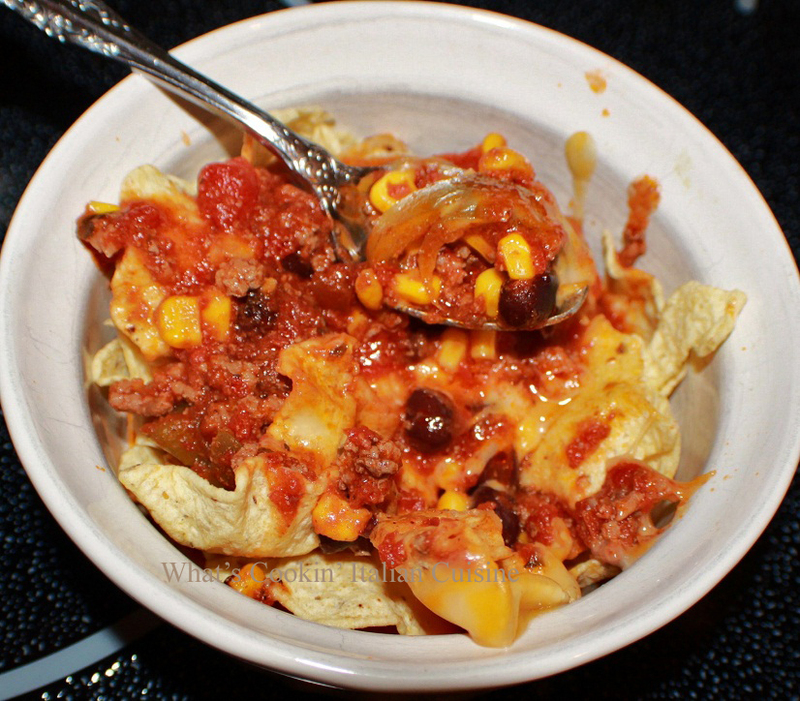 Use Below As A Topping And Making Different Meals add additional shredded cheese on top! In a large fry pan saute hamburger (or chicken) with peppers in 1/4 cup water and 2 teaspoons olive oil till pink is gone, drain some of the excess oil from the meat. Add the garlic, cook 1 minute. Add the tomatoes, corn, beans and seasonings. Simmer for 30 minutes on low. Your sauce is ready to use on the three suggestive versions! For Pasta Version: Boil Pasta to package directions. Drain. Add to casserole dish top with cheese and bake till hot and bubbly. For Rice Version: Boil rice to package instructions. Pour into casserole dish, bake with cheese on top until melted. For Tortilla Version: Line a casserole dish with tortilla like a lasagna. First layer tortilla some of the Tex Mex mixture, cheese and repeat ending with cheese. Bake at 400 degrees until cheese is hot, bubbly and browned.